« Sharper Image Men’s Memory Foam Slipper Only $2.88! Do you have some fresh raspberries that you are looking to use up? Here is a delightful recipe for you to try. After you make these, you will be wanting to make them ALL the time as they taste AMAZING! 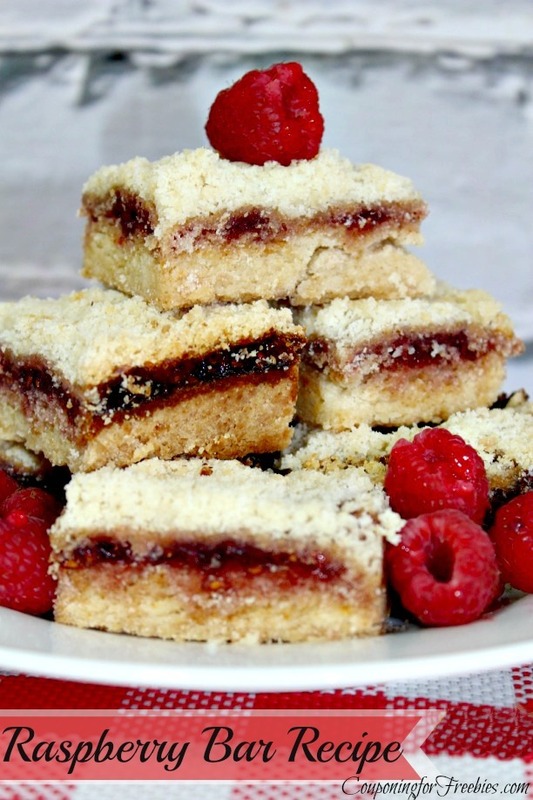 It is a raspberry bars recipe! We used a brownie maker pan to make perfect bars. But you could use any pan and just cut the bars if you don’t have a brownie pan. Just depends on how pretty you want them to look, but the taste is the same either way. -Combine the sugar, flour, baking powder, salt, cinnamon. -Mix the dry ingredients together. -Add the shortening and egg. – Hand mix until crumbly. – Take the first half of dough and pat it into the bottom of the prepared pan. -Spread the preserve mixture onto the top of the first half of dough. -Gently add the other half of the dough as a crumble to the top. -Bake at the 375 degrees. -Bake for 35-45 minutes or until the top is slightly brown. If you liked this recipe, be sure to check out some of my others over in my recipe category.